Started by the Government of India, NPS or National Pension System is a discretionary contribution pension system operated and managed by the PFRDA (Pension Fund Regulatory and Development Authority). It was started in India in order to stop defined benefit pensions for the employees joining after January 1st 2004. This scheme was originally planned for Government employees only, but it became accessible for all the Indian citizens in 2009. It is an endeavour by the Government to create a pensioned community in India. 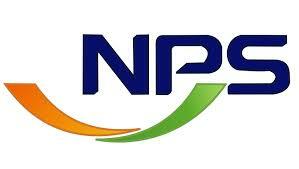 Any Indian citizen (resident or non-resident) aged from 18 to 65 can open an NPS account. Being a tax efficient, low cost, portable and flexible scheme, both employers and employees can contribute to the scheme. Therefore, the greater the merit of contributions, the greater is the investment. Tier 1– This is a primary pension account, which is restricted in terms of usage of accumulated corpus and withdrawals. The minimum contribution is INR 500. Tier 2- It is similar to mutual funds and has no restrictions when it comes to withdrawals. The possibility of having this account depends on whether an individual has an active tier 1 account. Tax incentives are relevant only to investments in tier 1 account. Minimum contribution to open this account is INR 1,000 and an amount of INR 250 is charged for successive transactions. The yearly minimum contribution per financial year of an individual is INR 1,000 and you can continue to contribute till the age of sixty. The functions, be it service, depository, operations, fund management or sales of the traditional financial products, are handled by a single company. Birla Sun Life Pension Management Ltd.
An investor has two choices namely, Active and Auto choice to invest in. Under the Active choice, the investor is given the choice of allocation. In the Auto choice, the asset allocation is done based on the investor’s age. Equities (E), Government Securities (G) and Corporate Bonds (C) are the three asset classes where allocation is carried out. According to the current rules, when an investor turns sixty, he can withdraw from the NPS scheme, but 40% of the pension has to be invested for purchasing an annuity. However, with the change in rules, both government and private subscribers will benefit tax-free NPS withdrawal.